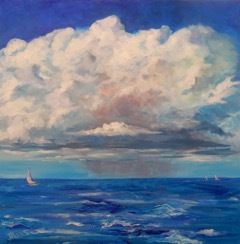 This acrylic painting was inspired by the many storms we have had this season at the coast of North Carolina. Luckily, most of them are just "passing through". 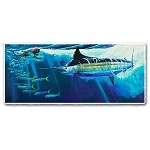 The canvas measures 24"x24".